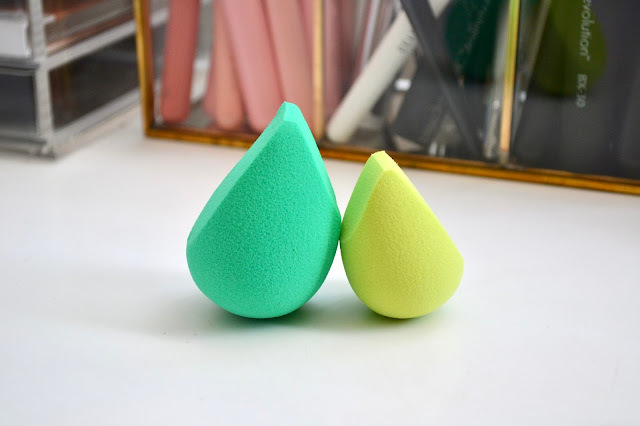 Today I have a review of the Ecotools Perfecting Blender Duo. These work best with liquid and cream makeup products. I picked them up at Ulta and they are some of the best makeup sponges I've used. I usually stick with Beauty Blenders but these are a pretty close second. I love Ecotools brushes already and these are just a great addition to their line. Find out more below! The EcoTools Perfecting Blender Duo is designed with EcoFoam Technology in two sizes and densities to create a camera ready look. The Large Base Blender is soft and flexible to create light, buildable makeup application. The Mini Detail Blender is firmer for more precise and detailed coverage. You can use these sponges wet or dry depending on what kind of application you need. The picture above shows the larger sponge wet. They both expand to a good size and they feel nice and squishy. They blend out cream/liquid makeup super easily and I love the flat tops. They really help to reach right underneath the eyes and around the corners of the nose. Pretty much anywhere you need to get closer or more precise. Ecotools products are PETA certified, meaning they are 100% cruelty free and vegan! 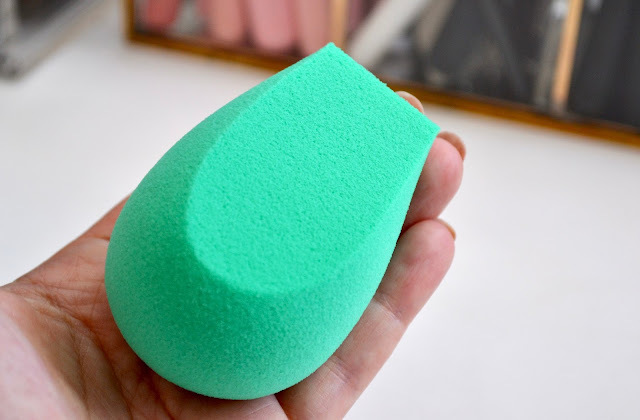 I definitely recommend these makeup sponges. 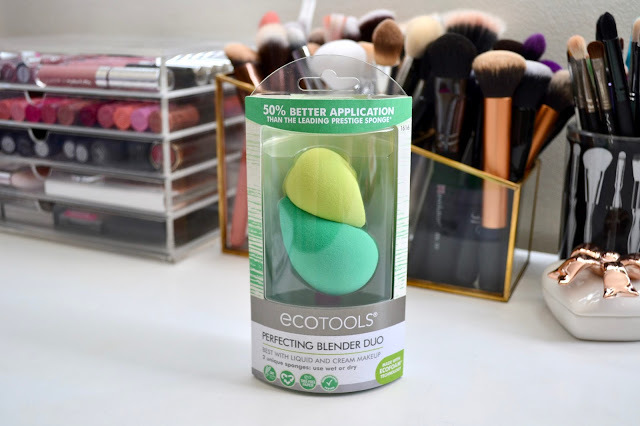 Ecotools Perfecting Blender Duo retails for $9.99 and can be found at Ulta, Target, and other retail stores.